Climate change poses a serious threat, especially to people living in rural communities. Our work across Africa and South Asia places great importance on empowering our partners to build long-lasting resilience to climate change and the shocks caused by it. 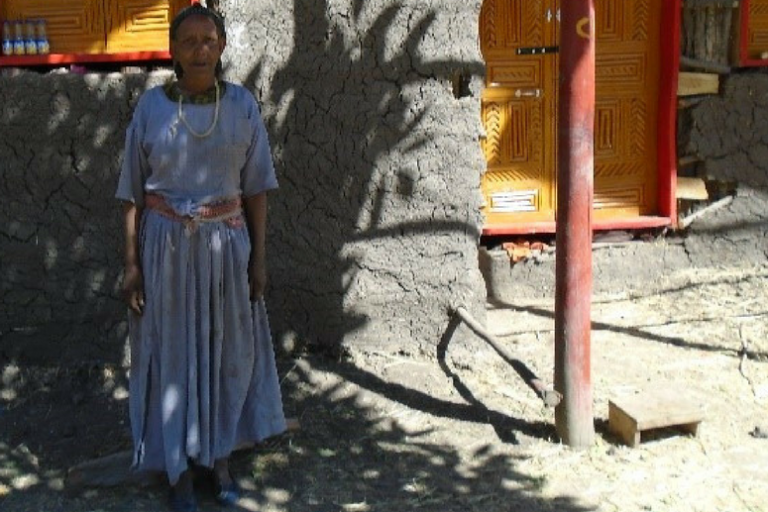 Shehubo Dedgeba lives in an Ethiopian village near The Hunger Project’s Wurib Epicentre — a community-led partnership that empowers 20 villages to lead their own development strategies on the path to sustainable self-reliance. Shehubo’s and the surrounding villages experienced extreme winds and flooding during recent years’ rainy seasons. Many families lost their homes and crop fields, which were a main source of income on which their livelihoods depended. Fortunately, she and her ten children are one of the few families that survived and rebounded from the damage caused by the heavy rains, whirlwind and flooding. Shehubo understands that access to financial tools can make a difference when it comes to building resilience against extreme weather. Until two years ago, Shehubo and her children had been living in a grass-thatched hut, exposed to damages by recurrent winds and heavy rains. But then she started participating in the Epicentre’s credit and savings program, saving enough money to build a more durable home for her family just in time for the rainy season. Today, she manages programs that address food security, nutrition, health, education, microfinance, water and sanitation. Her success is an inspiration to fellow women and youth to be the leaders of their own development. While incredible, Shehubo’s story is not unique. Extreme weather induced by climate change has become increasingly common around the world. Investing in rural and sustainable development is critical in preventing the damage caused by natural disasters and in building resilience once it strikes. Shehubo shows that mobilizing communities at the grassroots level can make a positive impact on us all.